Live Oak is a private 9-hole course, named appropriately for the ancient live oak trees that line the fairways. This short layout (2,878 yards) is flat, making it perfect for the walking golfer. Nothing too fancy here- just a few water hazards and some random bunkers scattered throughout. 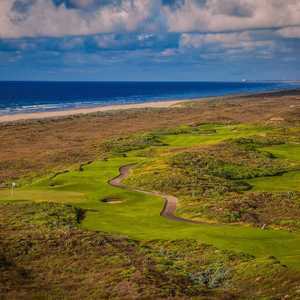 Rockport Country Club is the best place to play in Rockport, an outstanding championship Bill Coore and Jimmy Demaret design that opened in 1984, and considered one of the best courses in South Texas. And while it is technically a private facility, their policy is to reciprocate with USGA members.